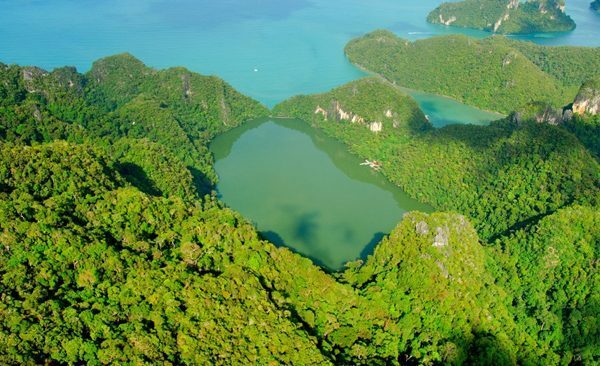 Lake of the Pregnant Maiden is a beautiful, wild, and magnificent treasure that is part of the Malaysian landscape. The lake is not only beautiful but legend has it that the waters have a healing effect. 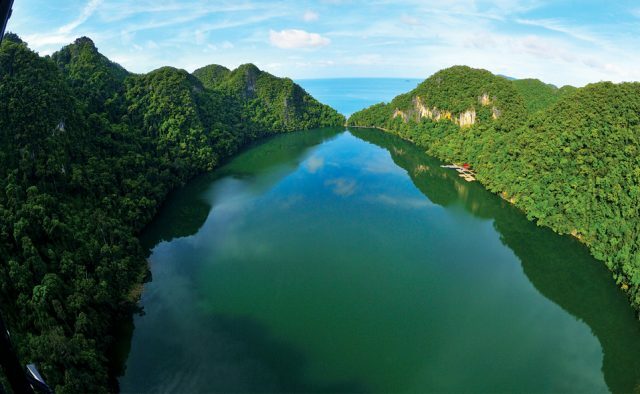 Located about 12 miles from Kuah town on Dayang Bunting Island it is a picturesque, freshwater lake. The lake has become a sacred destination and a enticing site to many visitors. 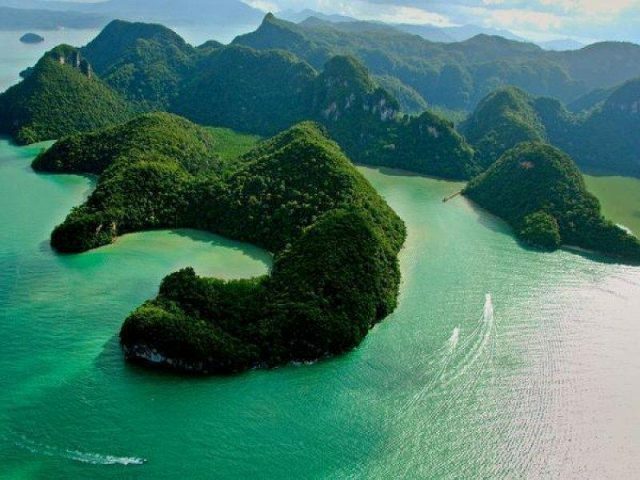 Dayang Bunting is the second largest of 99 islands in the Langkawi archipelago, which is known as the jewel is the pride of Malaysians. At is deepest Lake of Pregnant Maiden is 50 feet deep, taking large amounts of freshwater from Guillemard Lake. It is also surrounded by magnificent mountains. Its wild and mysterious beauty has captivated so many visitors from all over the world. 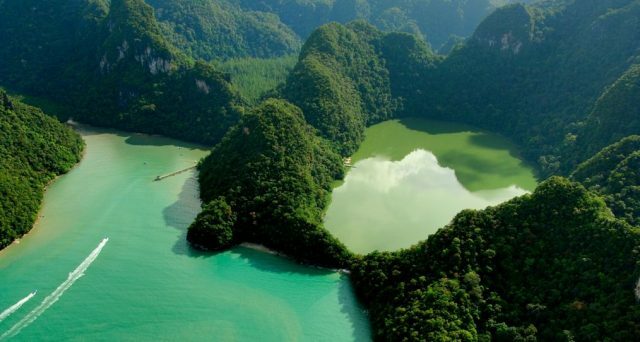 As the legend goes, the origin of the name of the lake stems from a beautifully romantic but tragic love story. 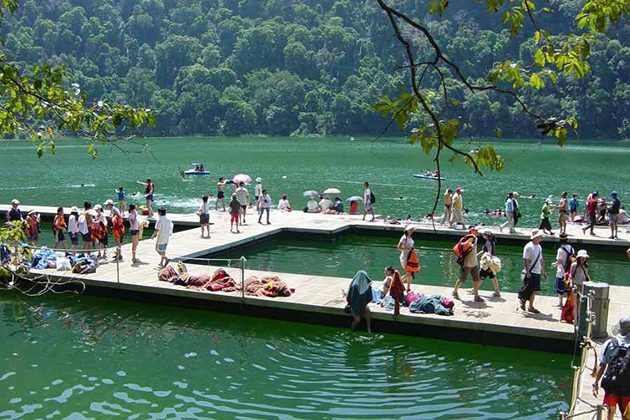 The lake was said to be the place where Princess Mambang Sari met and fell in love with a man named Mat Teja. They got married; and shortly after, the princess gave birth to a son. Unfortunately, the baby died seven days later. 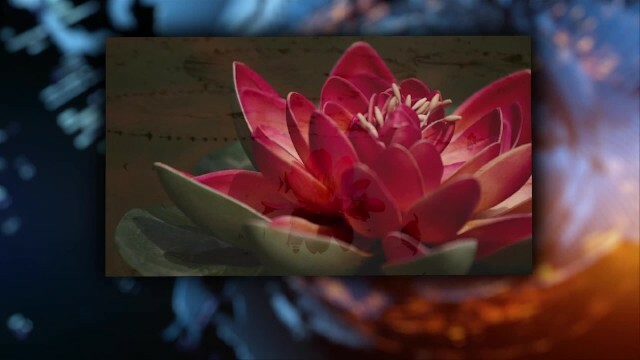 In sorrow, the princess decided to put the body of the child at the bottom of the lake, expecting that the baby could rest in peace down there. On the shore, Princess Sari prayed for all women who had problems in giving birth and wished them luck. Since then, the lake has become a sacred place for couples with infertility problems. They come wishing to have children soon. Although not proven scientifically, this remains as a strong belief within the locals. Standing and looking down from above, each mountain range bends smoothly like a pregnant woman lying on her back hugging the lake.